It's one thing to learn about the spirit of giving and helping others, but it's something completely different to take action and make it happen. And, that is exactly what we have set out to do. In true philanthropic spirit, all sections of the College of Agricultural, Consumer and Environmental Sciences 111 lecture class are coming together to build something we have never done before. With a class size of 300 students, we realized our biggest impact and major strength would be in our numbers. We also knew that if each student was able to give even a small donation, little by little, a little becomes a lot. Combining the two, we are setting out to fund a $2,500 freshman scholarship to be divided among 3 hardworking, exceptional students within our college. With plenty of first-year challenges of our own, we have decided to push them aside to make a positive impact on the life of a peer and inspire others to do the same. Prioritizing the success of our peers as much as our own is an example of the integrity and family values within ACES. In fact, being united is so important to us, we even get it branded on ourselves - literally! Each year, all the incoming freshmen gather at the Sam Steel Branding Ceremony to meet the faculty and staff. This is an important opportunity to learn about courses and explore majors offered through the college. This process helps us start out on the right foot by allowing us to discover academic options and guide us toward a fulling career pursuing our passion. And let's not forget, the branding of course! 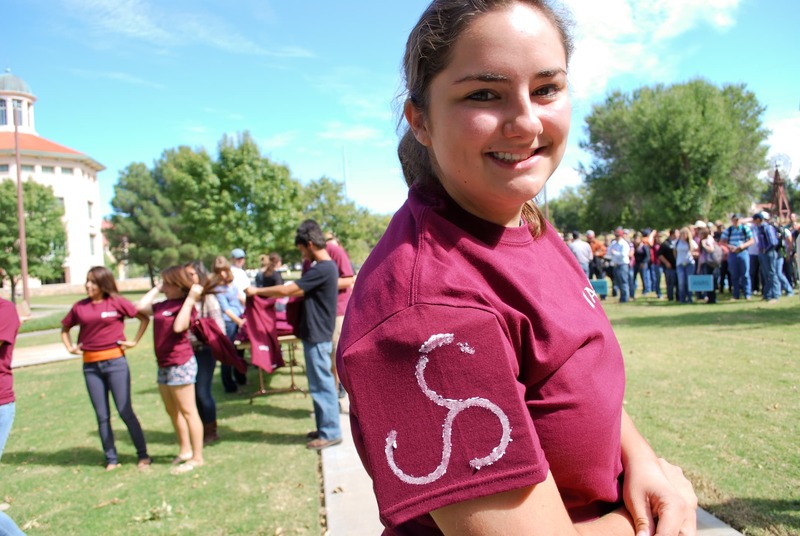 In matching t-shirts, the new freshman class receive the famous Sam Steel logo via a branding iron dipped in white paint. Camaraderie builds, as we meet and bond with the other students we will be spending the next few years with, as we are welcomed into the ACES family. Our mission is to leave a legacy by setting the example of what it means to be there for each other. But we need your help in making sure this new scholarship is successful! Add your donation to the scholarship today to show students that we can make a difference if we come together. 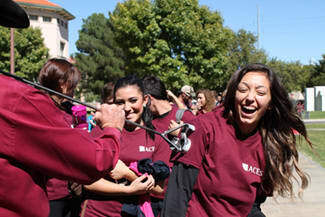 And of course that, the support of our Aggie family is a lifelong tradition! Every gift makes a difference and together, we can achieve great things! 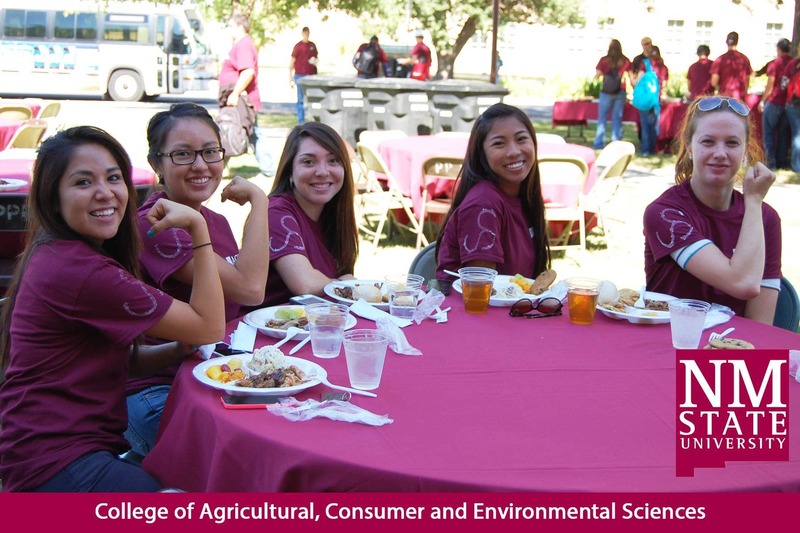 Students become future leaders and are the growth and development of our land, environment, and community. Community and students coming together is what this is all about! Student success is everyone's success. Your incredible generosity will change the lives of these students in a way they will never forget!